Q then leads Bond around to the most beautiful piece of spy kit the world will ever see. The list of gadgets and gizmos the glorious vehicle is equipped with was allegedly the sum of a brain-storming session among technicians on-site. 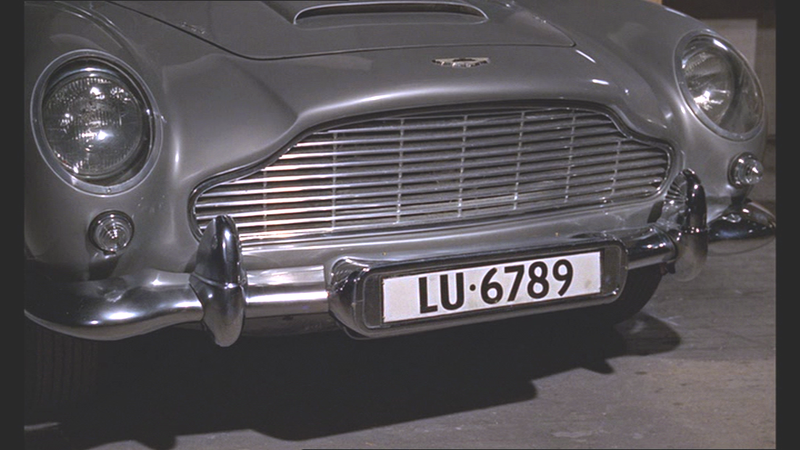 Director, Guy Hamilton, was responsible for the revolving number plate – those damned parking tickets, you see. 3) A homing device and tracker that would fit in his shoe, that matches up with a dashboard tracking screen. 6) Rear bullet proof screen (not be mistaken with the glass – this is extra protection). 7) Left and right front wing machine guns. 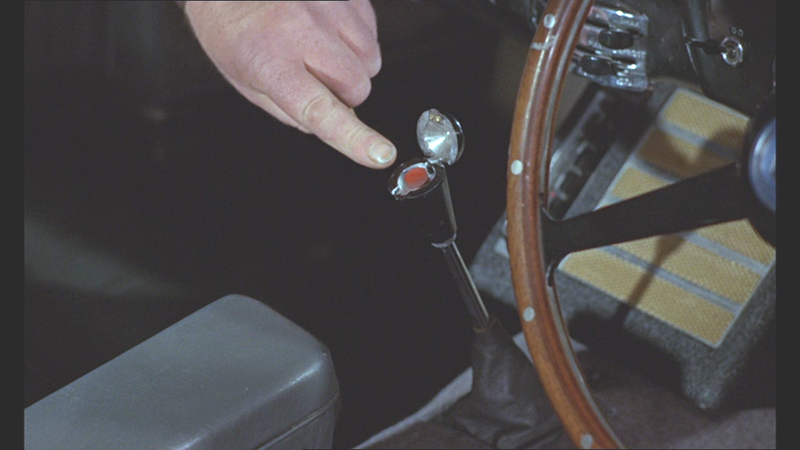 What Q didn’t tell Bond is that the vehicle also has Ben Hur spike things that zoom out of the wheels. 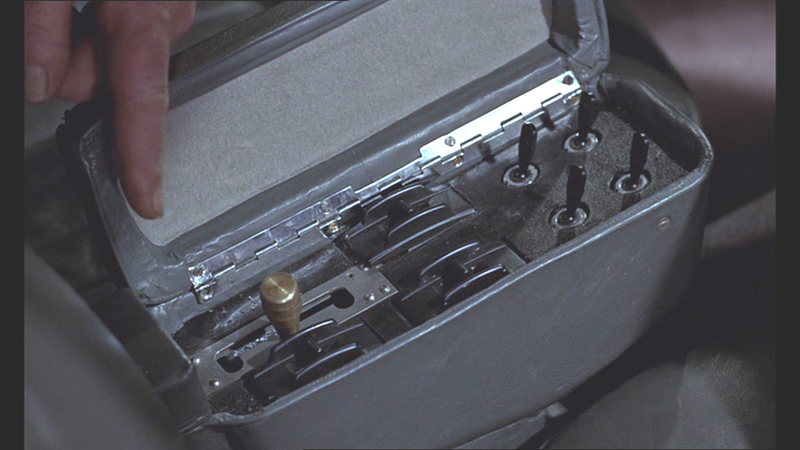 007 obviously took time out to read the manual though because it isn’t long before he’s ripping Tilly Masterson’s beautiful Ford Mustang apart with them. On October 27th 2010, this vehicle sold at auction for £2,912,000 to American car collector, Harry Yeaggy. 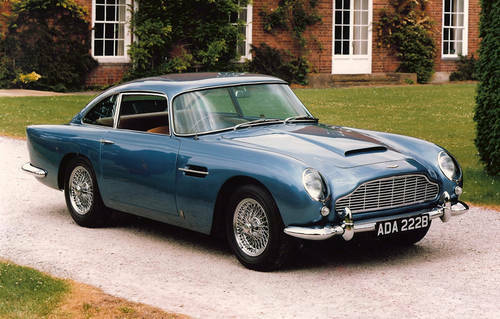 The previous owner, American radio station owner Jerry Lee, had bought the car from Aston Martin for $12,000 in 1969. Her CV: A total recorded mileage of 96,000 miles - 4 owners and 21,000 miles in the last 38 years. Previously owned by Mr Andy Chapman of Marque specialist Chapman Spooner Ltd. Continuously maintained to impeccable structural, aesthetical and mechanical standards regardless of expense. Hall of Fame: Exhibited for many years in the Bridgnorth Motor Museum. Chosen to represent the make and model on the box of the Airfix scale model construction kit of the Aston Martin DB5. The choice of DB5 featured in 'Aston Martin - the Legend' and used on the cover of 'The Ultimate History of Aston Martin' DVD. You may have seen them at the airport. You know, a game of skill to win a dream car (maybe your only chance to ever own one). They now have a website, where you can use your skill and judgement to win one of the world's best cars.